I hope you are all doing well and have had a fabulous weekend! How has it flown by so quickly though?! 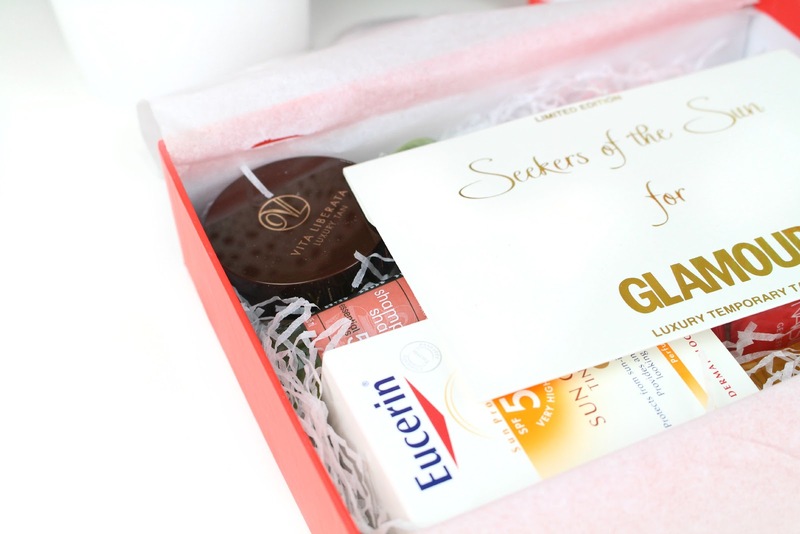 Seeing as we are due to receive a heat wave within the next few weeks or so, I thought today I would share with you the Glamour Summer Edit Beauty Box for 2015*. 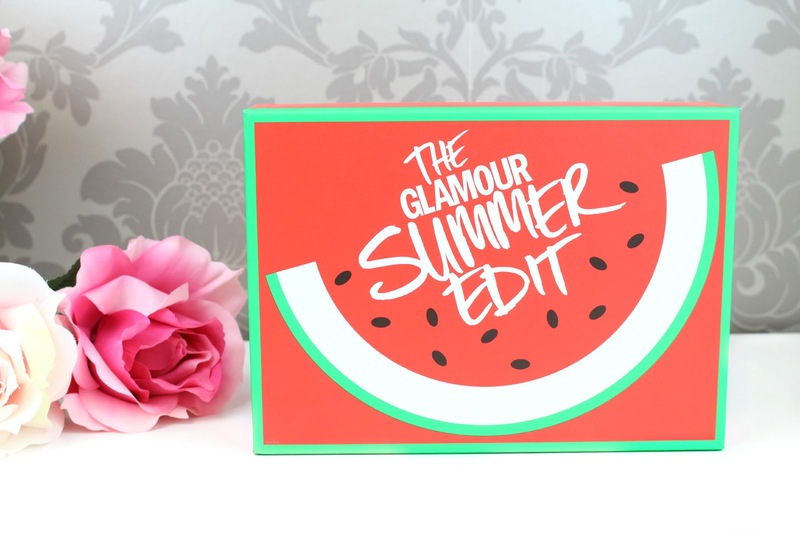 This is my first experience trying out a beauty box from Latest in Beauty and they did not disappoint whatsoever when it came to their Summer Edit Box - the overall design and content was 100% on point - how cute is the watermelon printing! When this wonderful box of goodies landed on my doorstep a few weeks ago it literally felt like summer had officially arrived and true to the name, all of the items inside are absolutely perfect to get you summer ready or see you through the warmer summer months. I have reviewed a few different beauty subscription boxes on my blog previously and I have to say that I really do like the whole concept of them. In some instances you have no idea what is arriving in your box each month and it is almost like a surprise gift to yourself! Not only that but it also offers you the chance to try out some products that you might not have necessarily been drawn to in the first instance...it is a great way to expand your beauty collection and try out some new brands! This special edition box was designed and created with Glamour Magazines Beauty Director, Alessandra Steinherr. 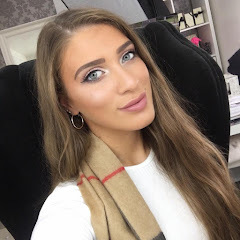 She has dubbed this box one of the most exciting beauty boxes to date and has filled it to the rim with a selection of summer must-have products that she knows we are all going to love as much as she does. With a variety of full size and travel size products, Alessandra wanted you to have the option to bring some of these cult product away in your holiday suitcase. You think that all sounds pretty wonderful? Well, that is not all - the entire box has a total whopping value of £117.99, however, they have knocked down the cost to £17.99 which I think it pretty fantastic! However, at the moment Latest in Beauty are offering a further 20% discount on the box itself - so if you would like to pick up this box for £14.39 I would do so quickly before all the stock sells out. 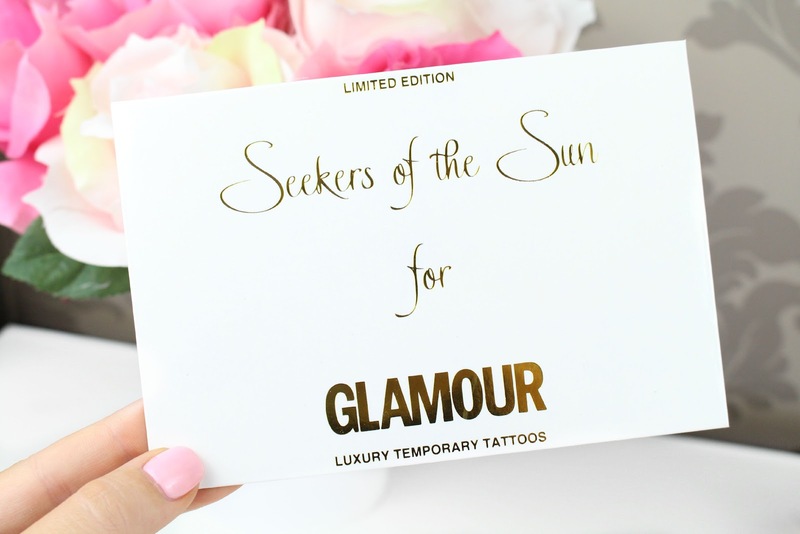 These are an exclusive item in this special edition box as Seekers of the Sun have collaborated with Glamour to bring these one-off designs that are only available through purchasing this box. Temporary metallic tattoos like these are pretty much everywhere at the moment and are perfect for summer parities and festivals. I am actually off to a festival the end of August (it's quite hush hush at the moment but I am so excited to finally announce everything) so I will make sure to bring these along with me for sure. 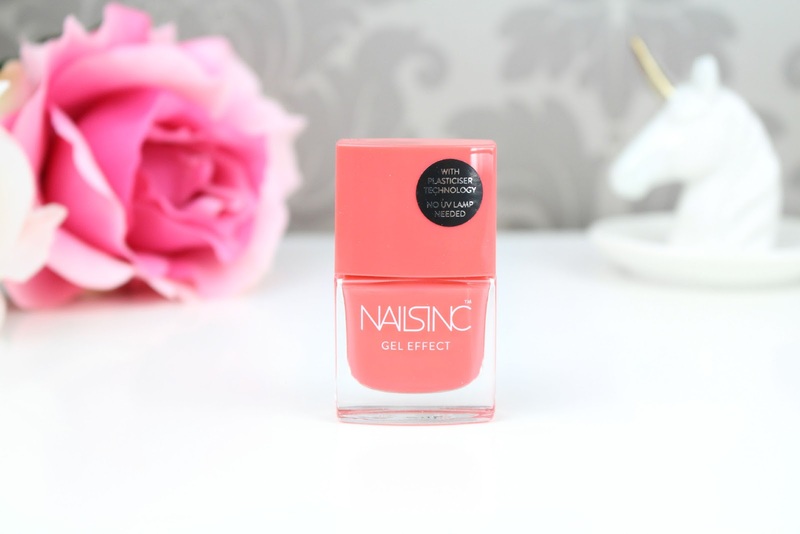 Nails Inc is a brand I really enjoy when it comes to my nails, however, I can literally count the times I have tried their polished first hand. This is not down to anything particular as their polish range is fabulous - if anything, receiving this polish has pushed me to give more of their products a try. Within the box you had the opportunity to receive one of 3 shades and I received 'Kensington Passage' which is a gorgeous coral pink shade. All three available shades offer pinky hues that are perfect for the summer season. This particular polish is part of the Nails Inc gel-effect line, however, what makes these special is the fact that you do not need to use any UV lamps or soak of the polish in any particular way after use. These polishes have a revolutionary plasticiser technology which offer a flawless manicure at home with easy application. I am going to enjoy giving this polish a try and comparing it to my gelish manicures that I have been treating myself to recently. When I saw that these were featured in the box I was extremely excited to finally give them a try. I am collaborating with Vita Liberate in a future post so I am intrigued to try as many of their products as possible as I do love having an all year round summer glow. 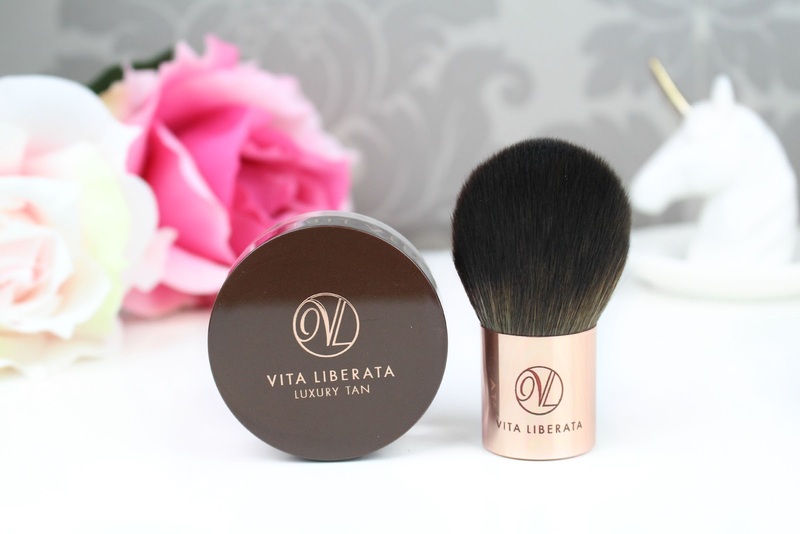 The Vita Liberate Trystal Minerals are one of the most exciting launches of 2015 - this is the first ever self-tanning bronzer...yes, you did indeed read that right! Simply dust the powder across your face and a natural looking tan will develop and last for up to five days. I really like how the box itself included a kabuki brush to go alongside the product - I think these are going to be the ultimate dream team. I think including an SPF product in a summer edition box was inevitable and I am so glad that they included a brand that might not necessarily be my first choice when it comes to sun protection. 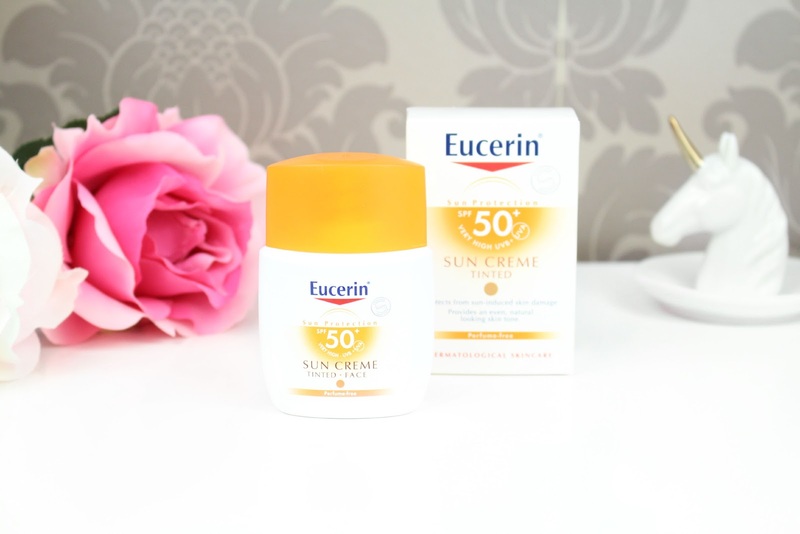 Eucerin are ideal for sensitive skin and won't leave any oily residue after application. Just like the Nails Inc polish you had the opportunity to receive one of four Eucerin products and I received the SPF 50 Sun Care Tinted Face Cream. This formulation is an advanced facial sunscreen with like mineral tinted pigments that provides sun protection plus an even, natural tanned-look to the skin. 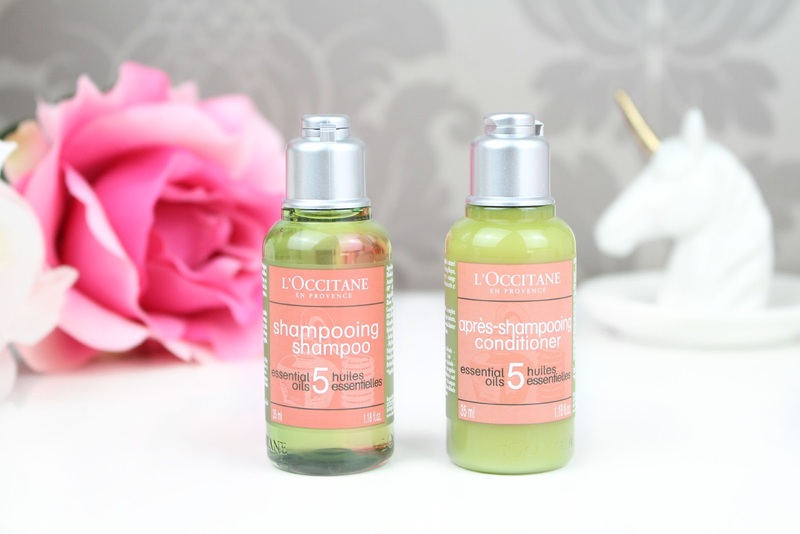 These will be the first ever L'Occtaine hair care product I would have tried and I am excited to see how they work with my hair. You can gosh, nourish and soften your hair with this hard-working duo, plus, you can also enjoy the calming side effect of the essential oils within the formulation for some much needed relaxation. I feel like the essential oils in the formulation are perfect for giving your hair some much needed TLC after indulging in the sunshine on vacation. 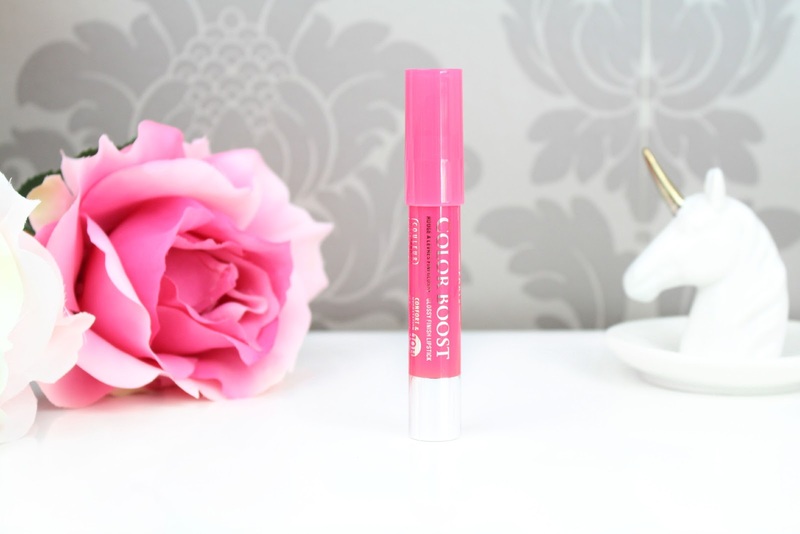 This has been a raved about beauty product throughout the bloggerspehere for as long as I can remember. When I was last in the US I saw the Pixi line whilst in Target but for some reason I didn't pick up anything to bring home with me...shock horror! I am excited to see how this works incorporated into my skincare routine and I hope this kickstarts my voyage into trying out more Pixi products. I am not sure how I feel about the 15ml sample as it is quite small, however, it should be the perfect size to help distinguish if it reacts well into your skincare routine before purchasing the full size. The Pixi Glow Tonic gentle exfoliates to even out squinting for a brighter, smoother and more glowing complexion. Caudalie is another well-loved brand throughout the bloggerspshere and from what I have tried previously I can totally understand why. Oil products are perfect for the summer time as they are so versatile and offer a lot of moisturising properties. 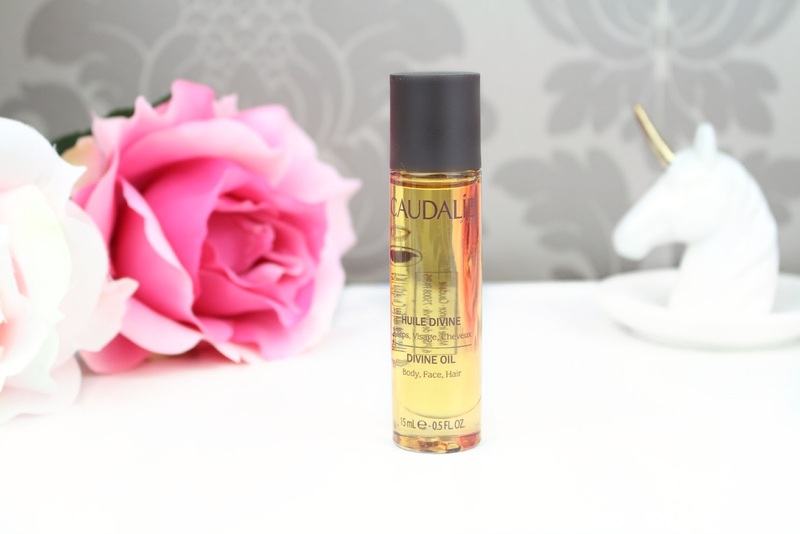 Caudalie Divine Oil offers everything you need to make your skin feel completely pampered. This multi-use miracle oil is great for your hair, your nails, your body and your face. The formulation is a unique blend of four vegetable oils that offer a head-to-toe summer glow. When you have been outside in the sunshine all day long simply add the oil to the ends of your hair, onto your cuticles and straight onto the skin for a refreshing pick-me-up. For some added TLC you could even add a few drops of the Divine Oil into a bath for a full on pamper experience! Balance Me is a brand I have tried many times and absolutely come away loving even more. The Super Toning Body Polish is actually one of the products I haven't tried from their line so I was super eager to try it out as soon as I could. This energising body polish works to improve skin tone, smoothness and good circulation with its gentle buffing ability. The formulation consists of ground walnut shells and blackberry leaf extract that work wonderfully together to slough away dead skin cells and encourage cell renewal. Not only that, the products itself feeds skin with collagen and elastin-boosting properties while the signature Super Toning sos-inspired blend of naturally active essential oils (juniper, geranium, lavender and bergamot) purify the skin with every polish. This products sounds and feels absolutely incredible. 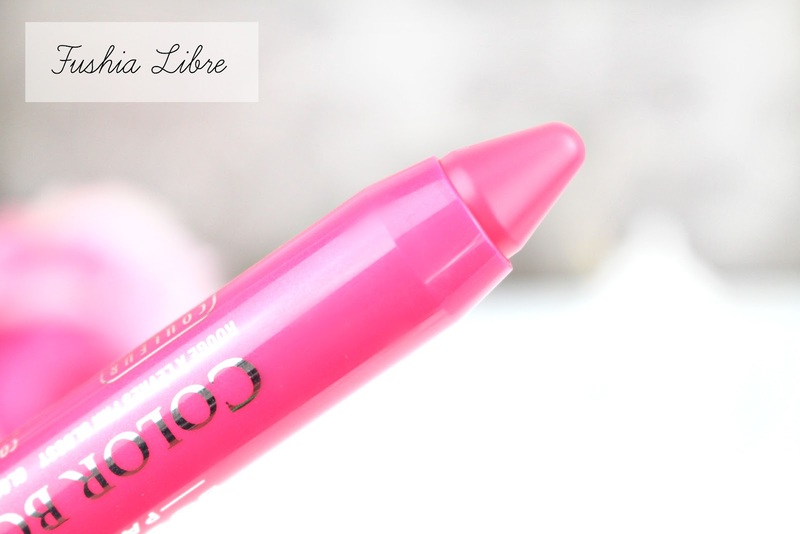 Believe it or not but this was the first ever Bourjois lip crayon that I have ever tried...slapon the wrist I know! Chunky lip pencils are perfect all year round and even more so in the summer for quick and easy application on the go. One swipe delivers a gorgeous, subtle veil of colour that is perfect for those days when you are enjoying the sunshine...I was so pleased to see that these offer SPF 15 protection which makes these both a practical and beautiful product! Just like with a few products within this box you had the opportunity to receive one of three different shades, I received the every so gorgeous Fuchsia Libre, which true to its name offers a bright fuchsia shade perfect for the summer time. 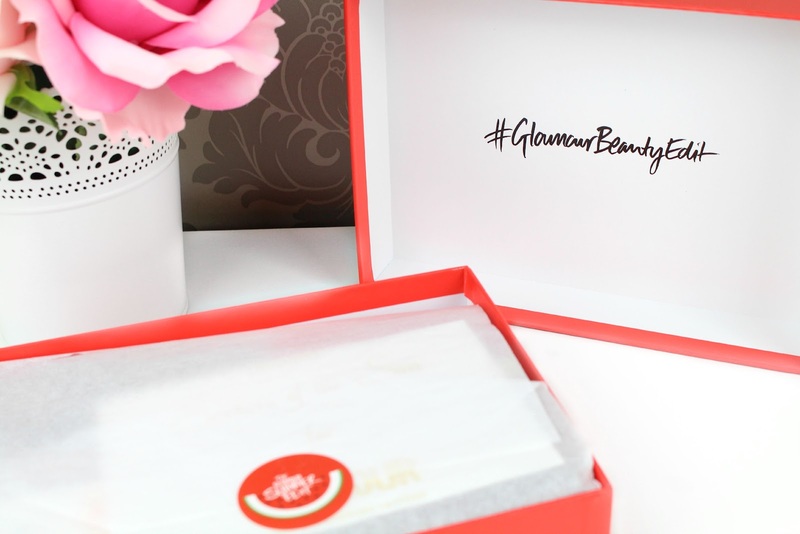 Overall, I was completely impressed with the contents of the Glamour Summer Edit Beauty Box for 2015. Being the first box I have tried from Latest in Beauty it has really set the standard high so I am looking forward to trying some more boxes in the future. I am looking forward to giving each product a try even more and take a few of these goodies away on vacation with me. Like always lovelies, if you have any questions, requests or if you just want a chat you can contact me via my social media or leave me a comment below. I love hearing from you all and I make sure to ready every single comment...they really make my day! What did you think of the Glamour Summer Edit Beauty Box? 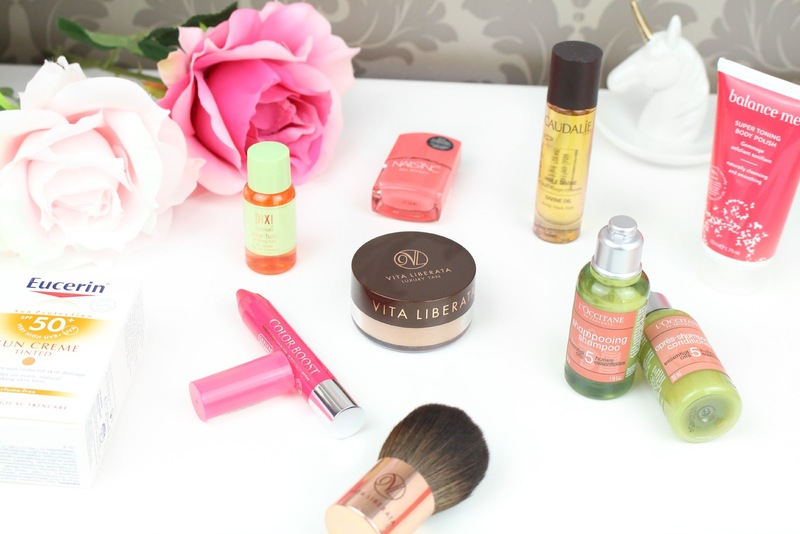 Do you have a favourite beauty subscription box? This is such an amazing box, so many things Ive been wanting to try in here! what a great box. that is a beautiful colour of nail polish! also the box itself is very cute. This box seems amazing! Might have to grab one for myself! :) Great post. This looks like such an amazing box! I've been wanting to try the Vita Liberata tanning bronzer and Pixi Glow Tonic for some time so this seems the perfect way to try before I buy! I love the Latest In Beauty boxes, I must get this one!